Why Buy New When You Can Buy Used Building Parts at a Fraction of the Cost? Salvage — goods or property that is saved or rescued from certain destruction — isn't anything new. Really, architectural salvage worth anything is usually old. People throw away the darnedest things: stained glass and glass mirrors; cast iron steam radiators; solid wood porch columns; pedestal sinks with original porcelain fixtures; ornate Victorian moldings. It's worth spending time rooting through dumpsters at demolition sites and haunting garage sales and estate auctions. 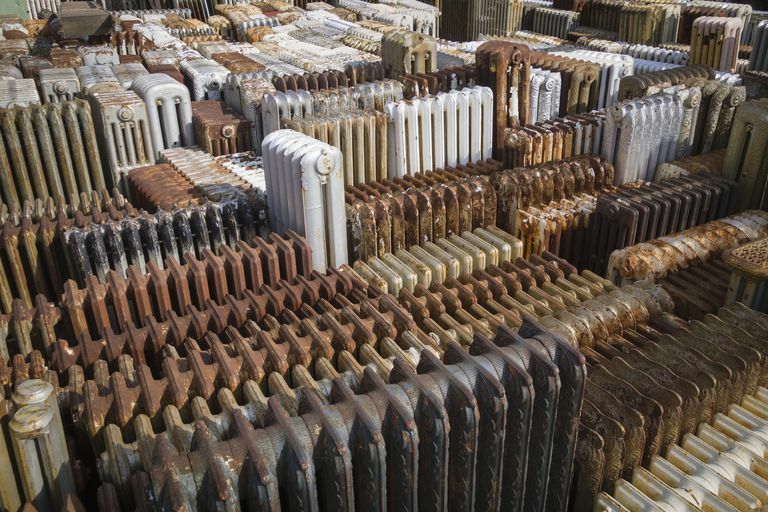 But for hard-to-find building parts, the best place to shop is an architectural salvage center. From the French word salver meaning "to save," the first property worth saving was probably merchandise carried on ships — goods either taken by force or by trade. As the commercial shipping industry became more prolific, laws and insurance policies came to govern outcomes of the occassional shipwreck or pirate ship encounter. Architectural salvage rights are generally governed by property and contract law and insurance company agreements. In the United States, unless stipulated by contract or historic designation, personal property is generally handled locally and personally. An architectural salvage center is a warehouse that buys and sells building parts salvaged from demolished or remodeled structures. 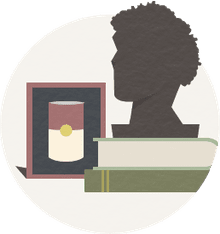 You might find a marble fireplace mantel rescued from a law library or a chandelier from the reading room. Salvage centers might have filigreed door knobs, kitchen cabinets, bathroom fixtures, ceramic tile, old bricks, door moldings, solid oak doors, and antique radiators like the ones shown here. In many cases, these items cost less than their modern-day equivalents; in most every case, the product quality is unmatched by today's materials. Of course, there are drawbacks to using salvaged materials. It might take considerable time and money to restore that antique mantel. And it comes with no guarantees and no assembly instructions. Still, you also get the joy of knowing you are preserving a small piece of architectural history — and you know that the refurbished mantle is not like anything being manufactured today. Where can you find the architectural salvage you need? Architectectural salvage is a business. Some salvage warehouses resemble junk yards with broken windows and rust-stained sinks piled in untidy heaps. Others are more like museums with artful displays of architectural treasures. Dealers will often contract with property owners to buy salvage rights to houses slated for demolition. Products offered by salvagers range from small hinges, keyholes, doorknobs, and cabinet pulls to very large surfaces like bowling alley or basketball court flooring, barn siding and beams, or wainscoting. Services might include finding antique lighting fixtures, tubs, sinks, faucets, moldings, and brackets to finding entire houses where you bring your own tools and help take apart buildings scheduled for demolition. Popularity of items varies from architectural parts from pubs where wrought iron and cast iron fencing might be available, to churches, where you might get a deal on columns. Reclaimed lumber has become its own business. Should You Bargain? Should You Sell? Sometimes it's best to bargain, but not always. If the salvage center is operated by an historical society or charitable organization, you may want to pay the asking price. However, warehouses run by demolition contractors often have overstocks of lavatory sinks and other common items. Go ahead and make an offer! Consider your own personal property — there may be cash in your trash. If you must get rid of interesting architectural details such as stair banisters or useful items such as kitchen cabinets, a salvager may be interested. In most cases, you'll have to remove the items yourself and haul them to the warehouse. Call ahead to be sure there is a need for your materials. In some cases, the salvager will come to your home and remove building parts that you donate or offer to sell at a bargain price. Or, if you are doing a major demolition, some contractors will discount the cost of their labor in return for salvage rights. The business of architectural salvage can be emotional. Many a homeowner has purchased a colonial New England piece of history only to later find that the corner cabinets had been chopped from the dining room. One of the most egregious cases of legal pillaging is the much-reported interior stripping of the Bunshaft home. In 1963, Pritzker Laureate Gordon Bunshaft built a modern home on Long Island that he and his wife eventually willed to the Museum of Modern Art (MoMA). Long story short, in 1995 Martha Stewart bought what was known as "Travertine House," she removed all of the travertine stone flooring and relocated it to one of her other houses before she got into some legal trouble, Stewart gave the house to her daughter, and in 2005 textile mogul Donald Maharam bought the deteriorating, abandoned shell of an unrenovated home — which he claimed was beyond repair. Maharam had Bunshaft's only residential design torn down. On the other hand, some people are highly sensitive to what author, contractor, and salvager Scott Austin Sidler calls "dismantling history." As he helped take apart four early 20th century cottages in Orlando, Florida — homes the city offered for free to anyone who would remove them — he felt "awful" about dismantling history, while at the same time he says "it felt good to be saving as much as I could." As owner of Austin Historical in Orlando, he writes, "The purpose is not just to make money, which is always nice, but to help you find products I know will really help you take care of your historic home." Seek out the lover of old houses. You can be better than Martha Stewart. Do business over the Internet. Search online directories for Architectural Salvage. Results will reveal local dealers, but don't neglect national organizations like Recycler's Exchange, Craigslist, and eBay — the world's largest online marketplace has everything, including architectural parts. Try several key words in the search box on the eBay home page. View photographs and inquire about shipping costs. Also, take advantage of social media and Web sites that offer message boards and discussion forums for buying, selling, and trading. Contact your local historic preservation society. They may know of salvagers who specialize in antique building parts. In fact, some historical societies operate nonprofit salvage warehouses and other services for old-house restoration. Contact your local Habitat for Humanity. In some cities, the charitable organization operates a "ReStore" that sells salvaged building parts and other home improvement items donated by businesses and individuals. Visit demolition sites. Check those dumpsters! Keep an eye on garage sales, estate sales, and auctions. Know when garbage night is in your and neighboring communities. Some people don't know what they've got until it's gone. Beware of "strippers." Reputable architectural salvagers support the cause of historic preservation by rescuing valuable artifacts that would otherwise be demolished. However, irresponsible dealers will strip a viable building, selling historic items individually to make a fast profit. It's always best to purchase salvage from a source recommended by the local historical society. When in doubt, ask where the item originated, and why it was removed. Keep in mind, most salvage centers don't always operate 9 a.m. to 5 p.m. Always call before making he trip!